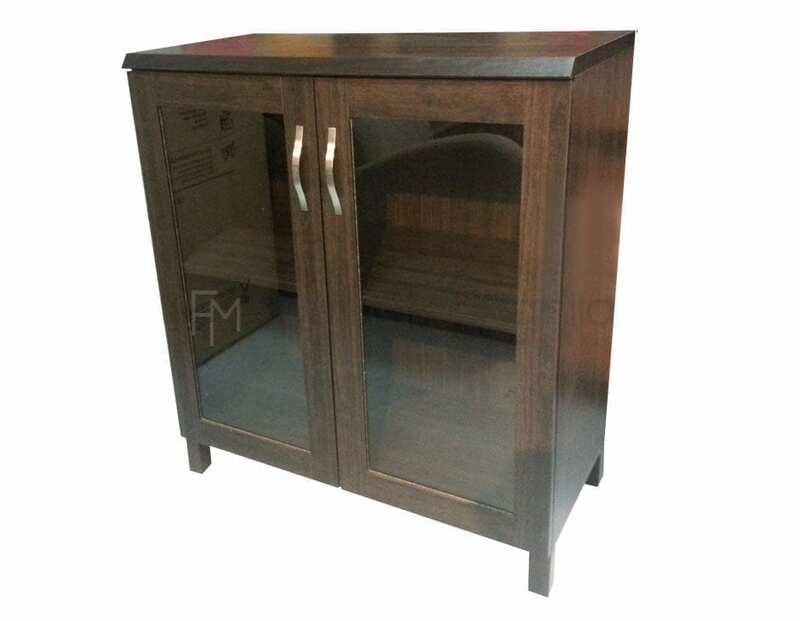 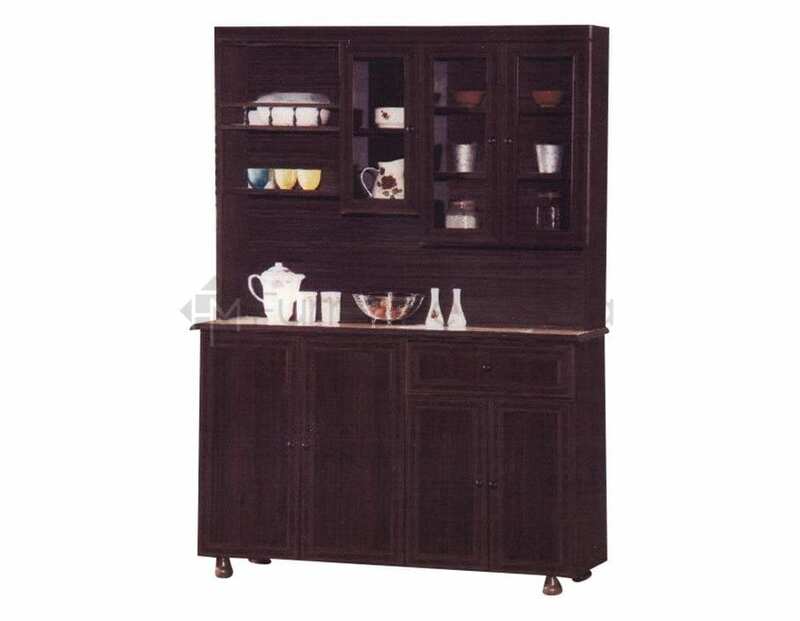 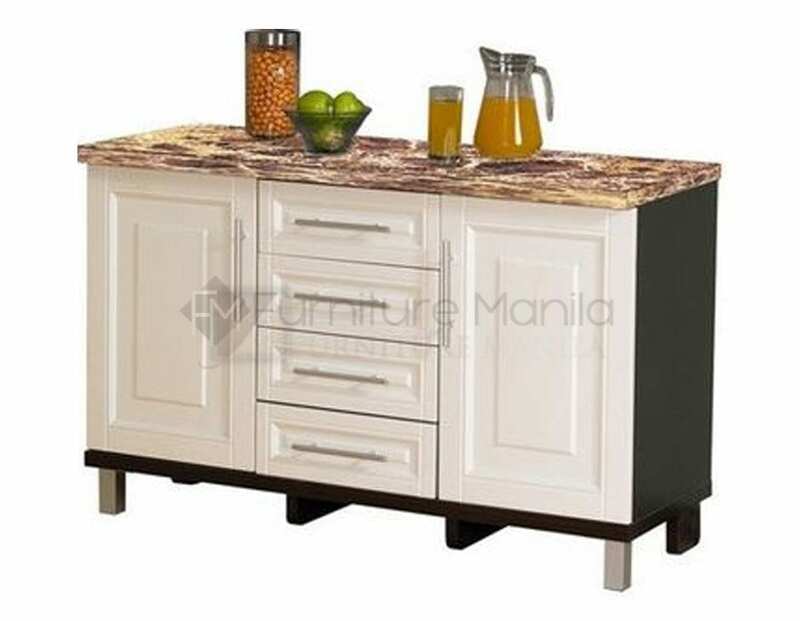 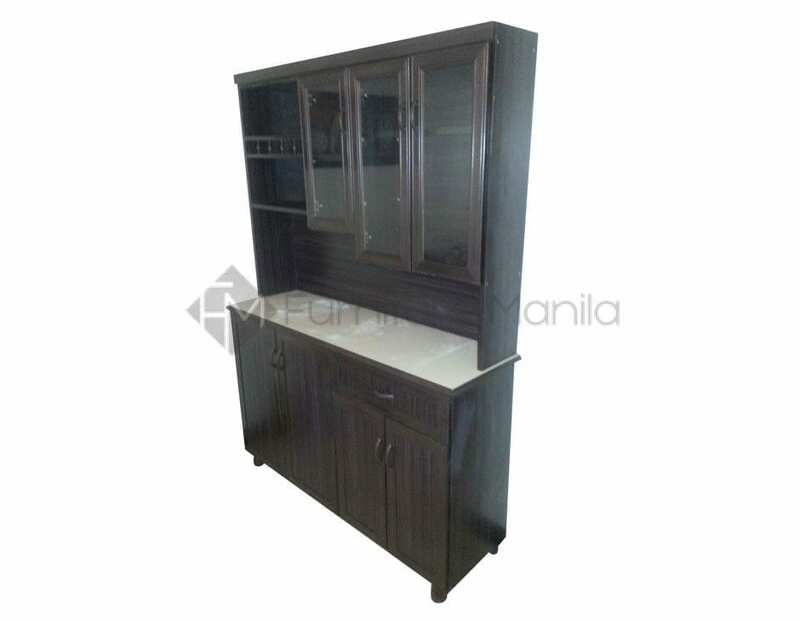 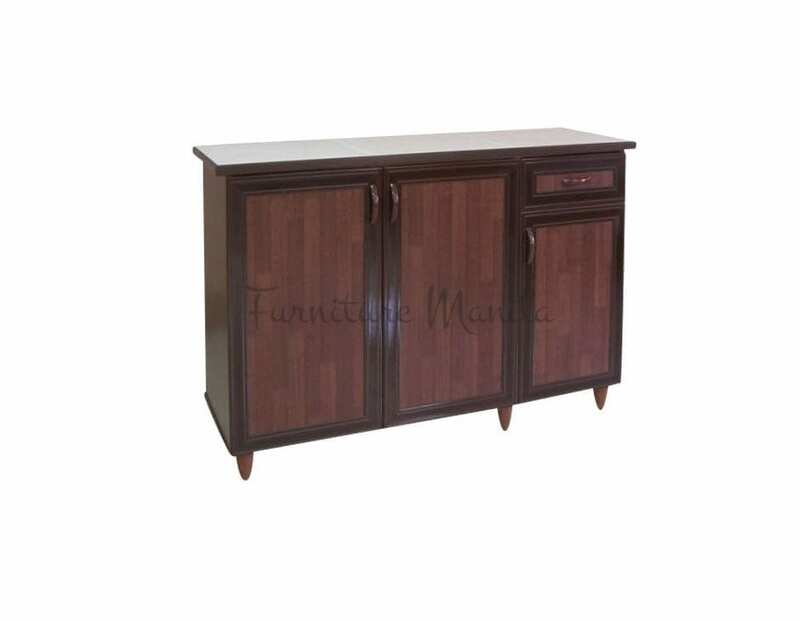 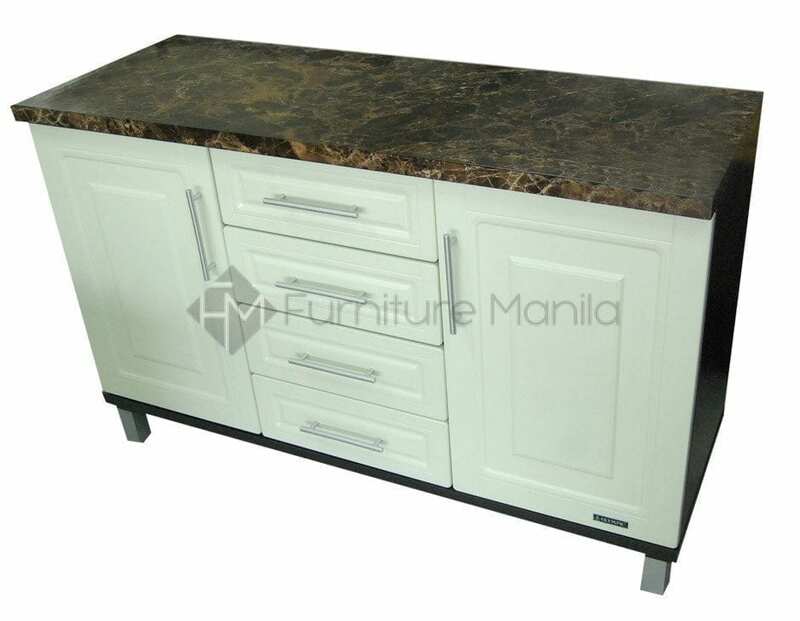 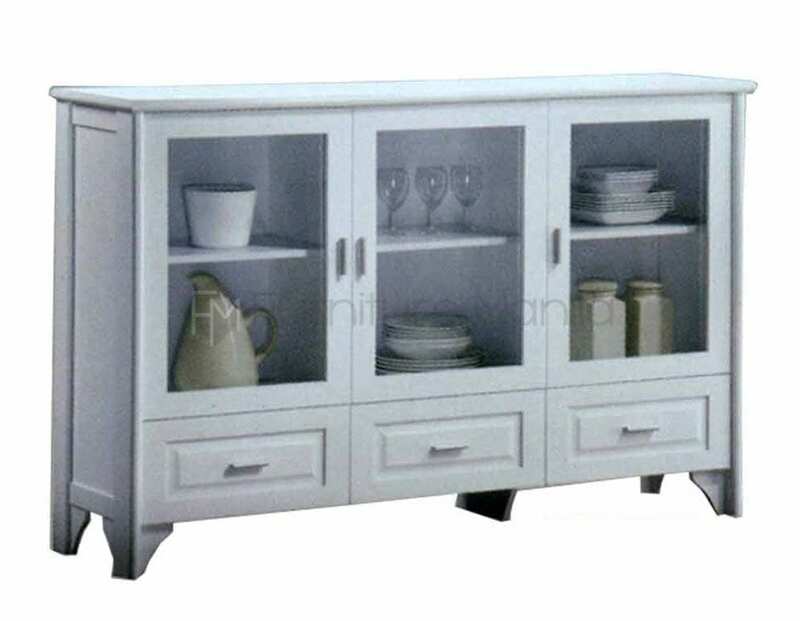 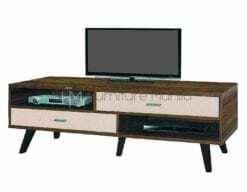 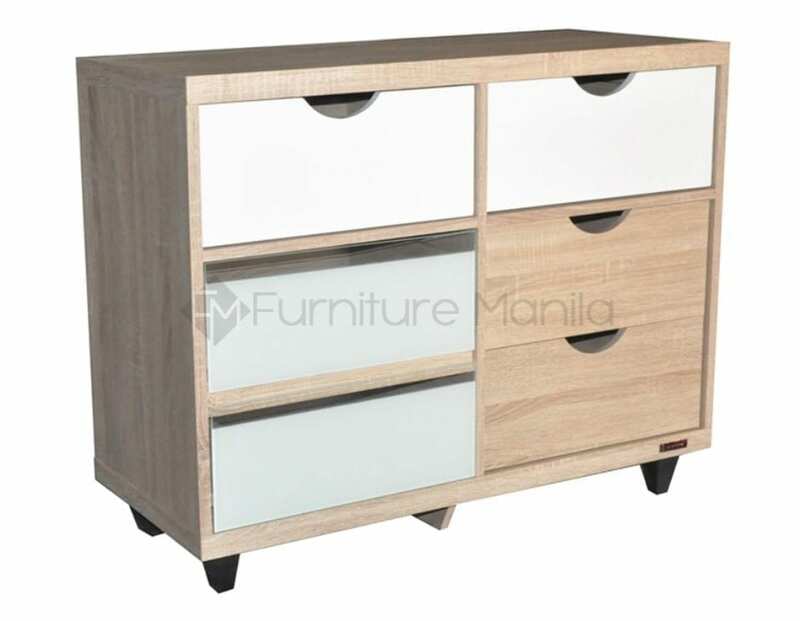 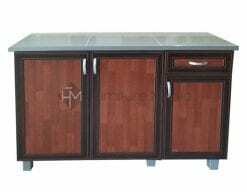 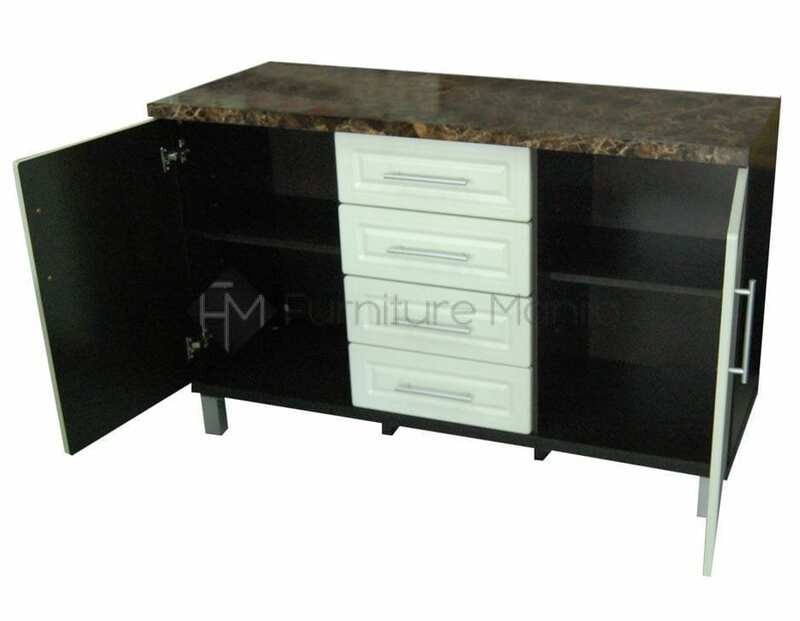 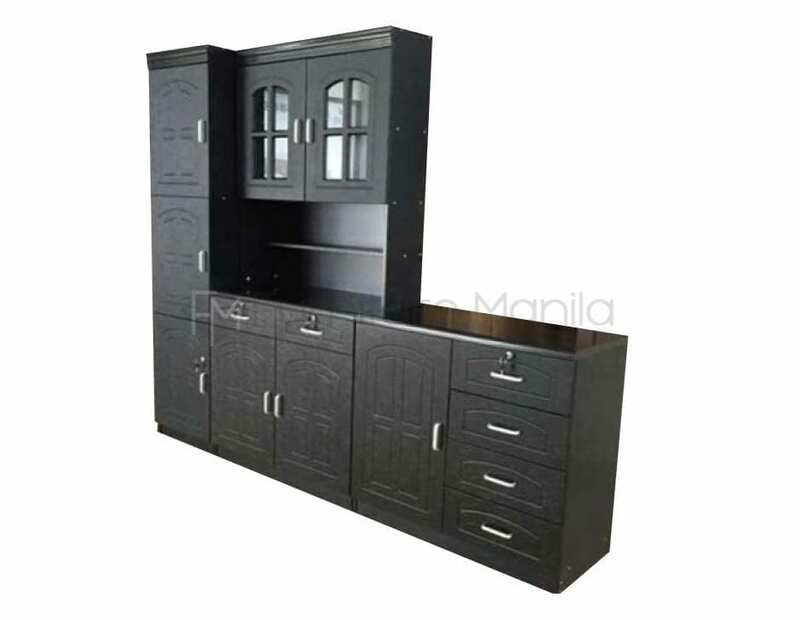 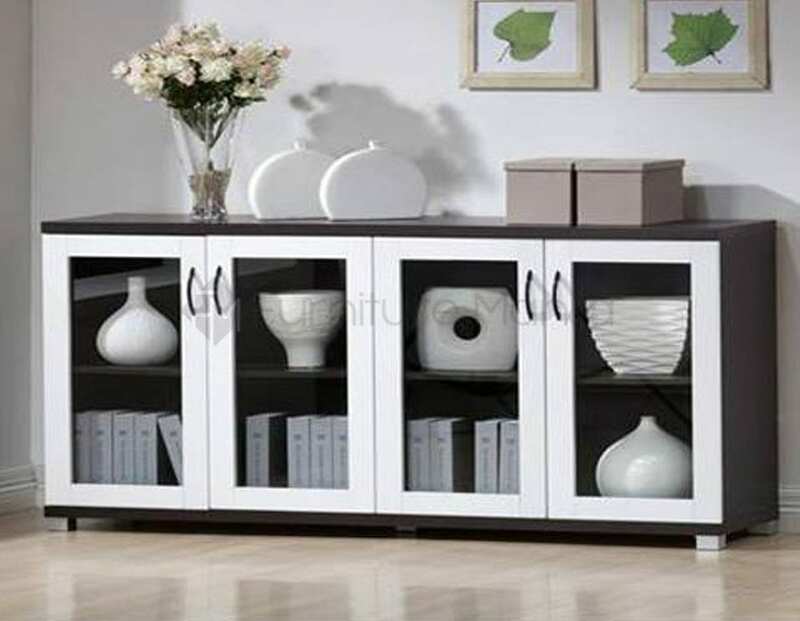 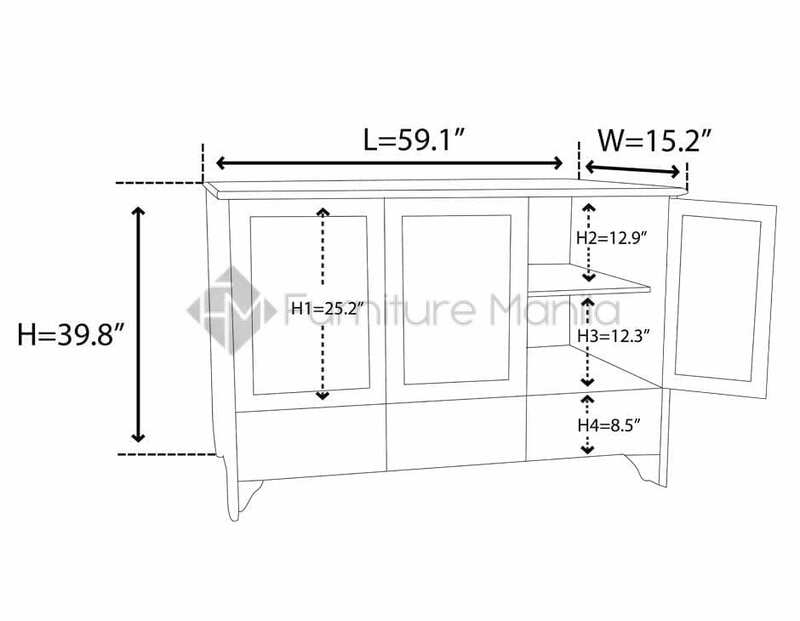 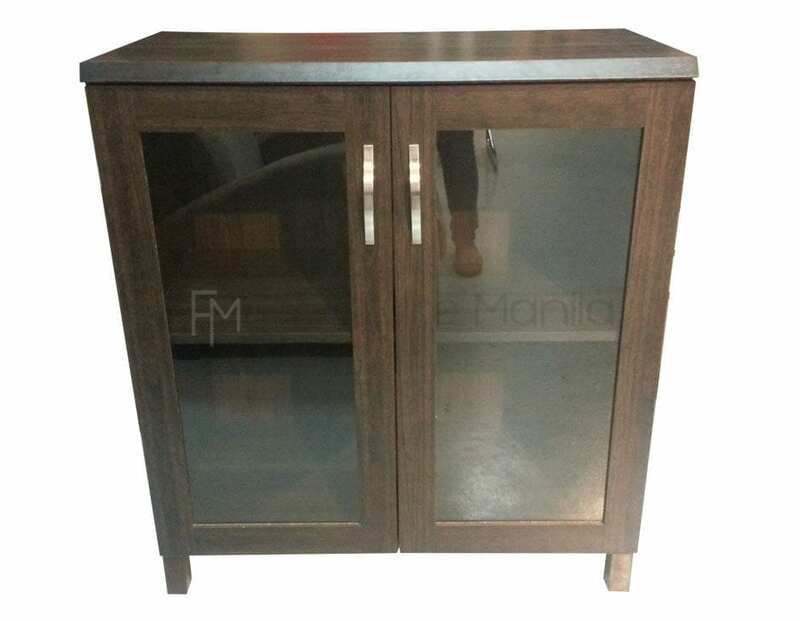 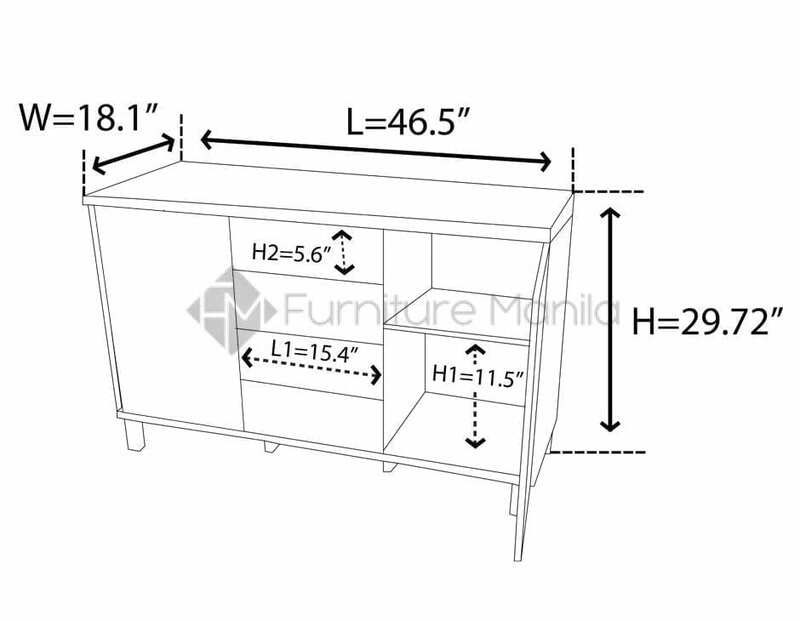 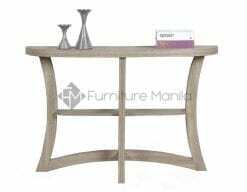 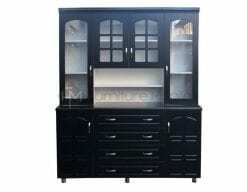 This contemporary buffet table offers a versatile solution for your kitchen storage needs. 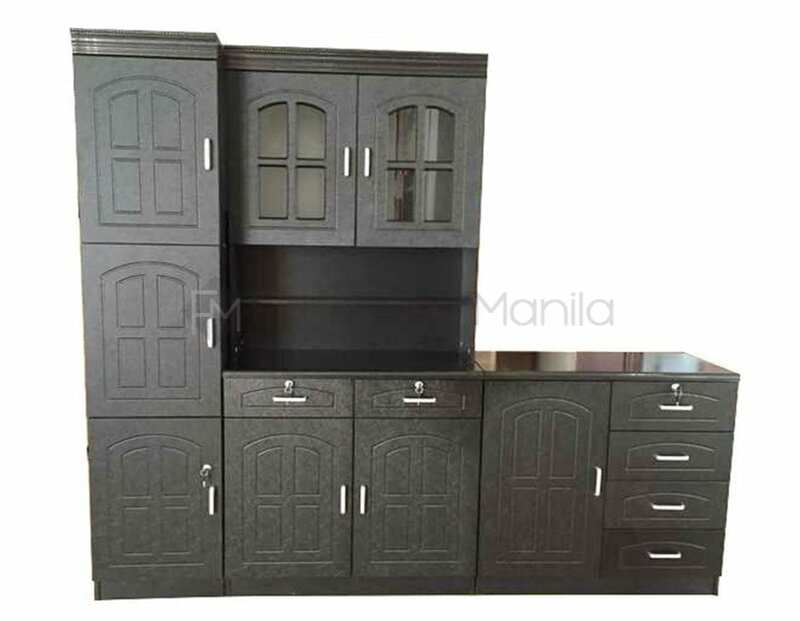 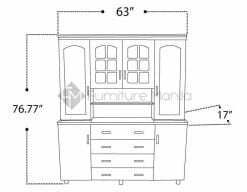 It features four pull-out drawers in the middle and two 1-door cabinets where you can store your tablewares, glasswares or kitchen linens. 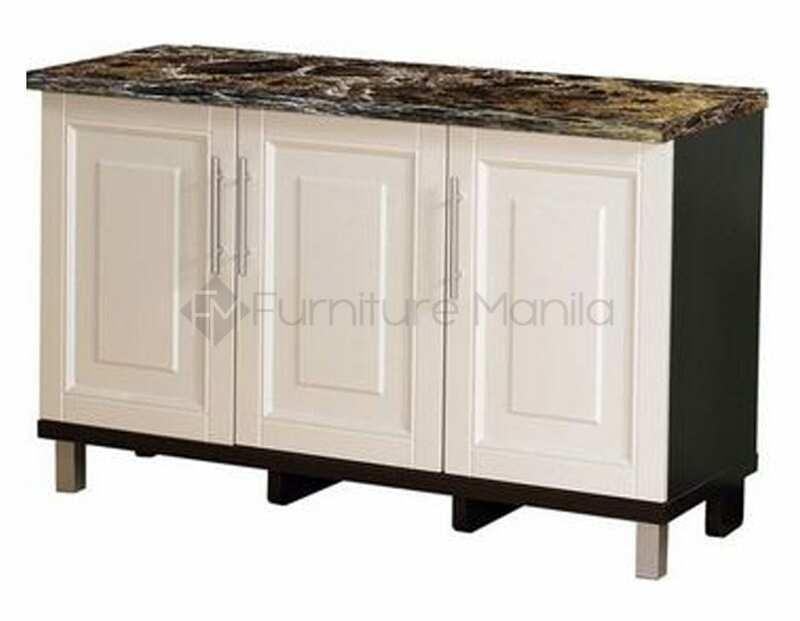 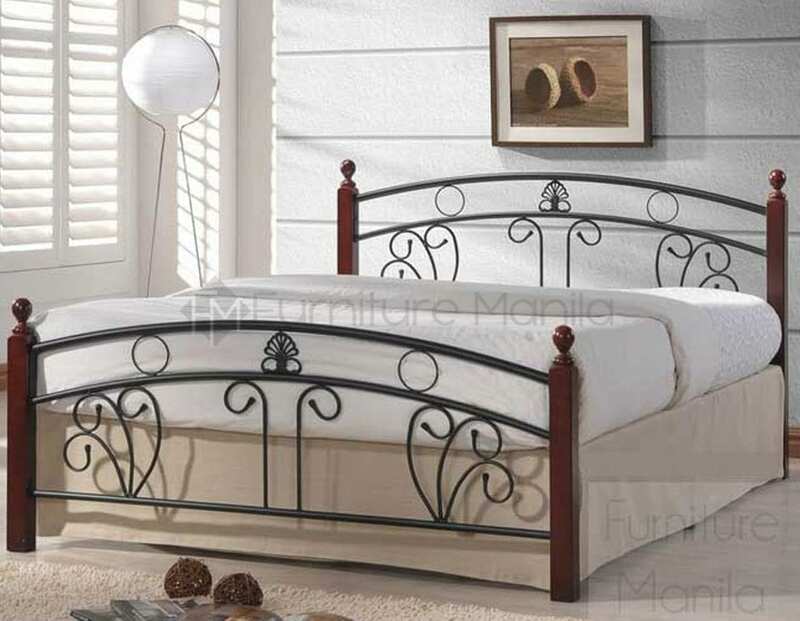 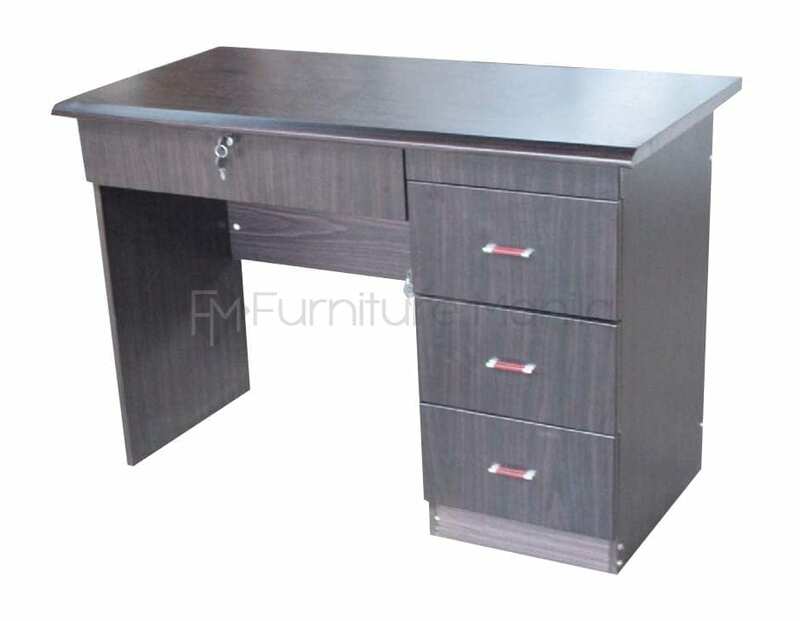 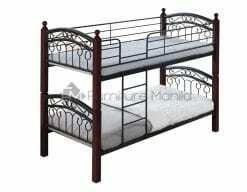 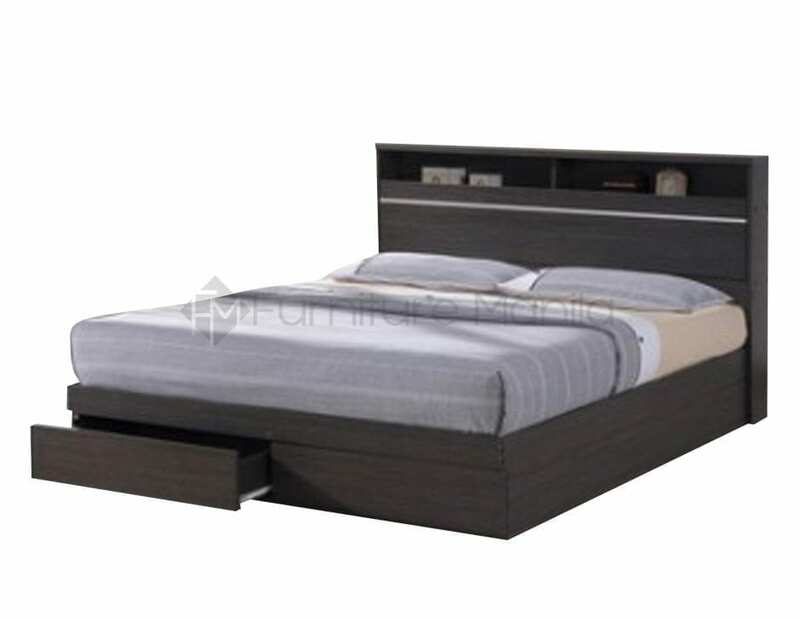 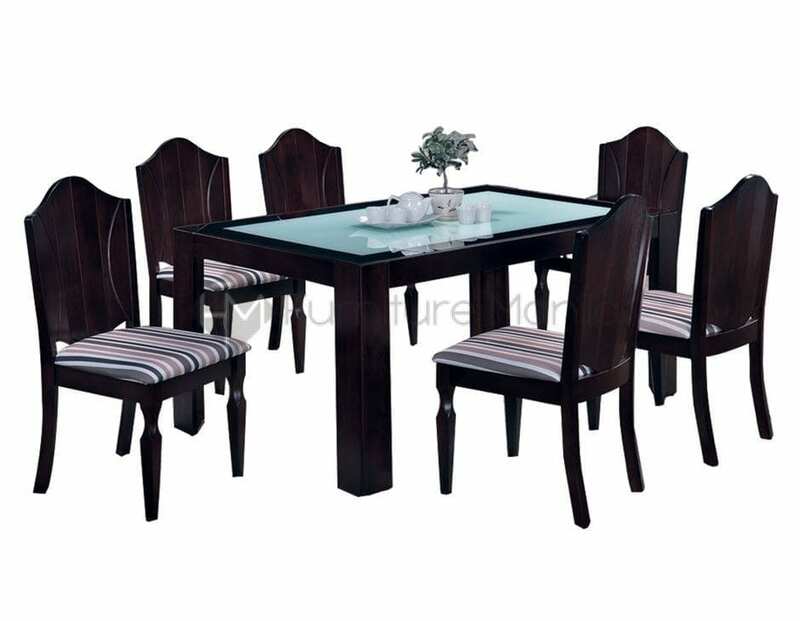 The top is made of an elegant granite-like design. 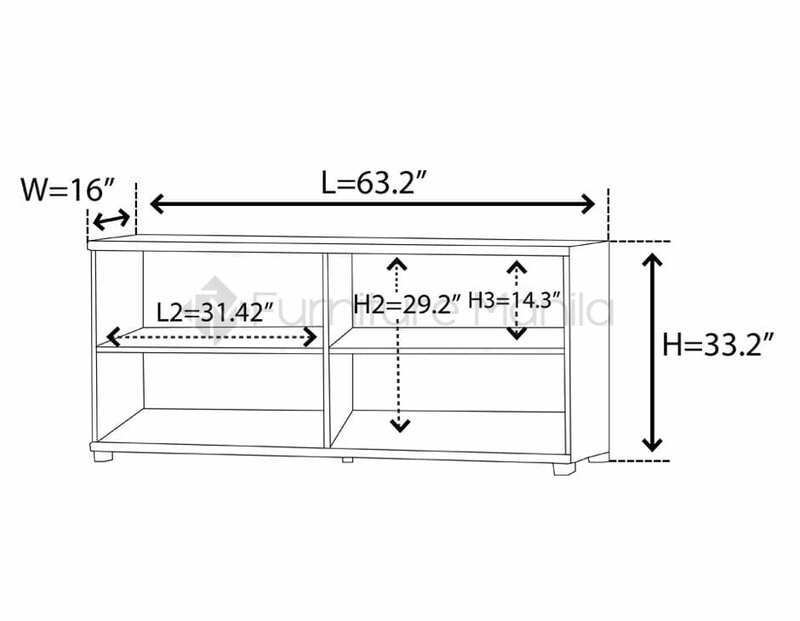 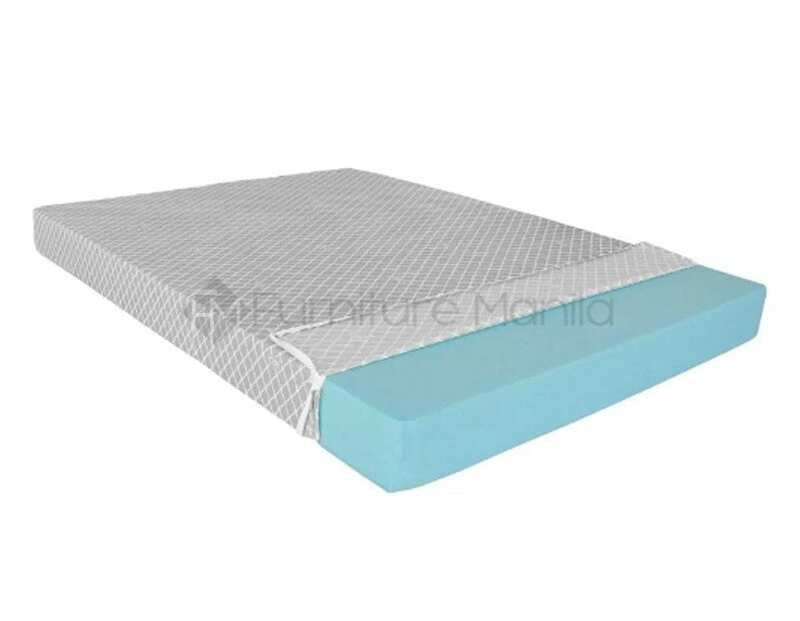 It gives you extra surface for food prep or for serving food.